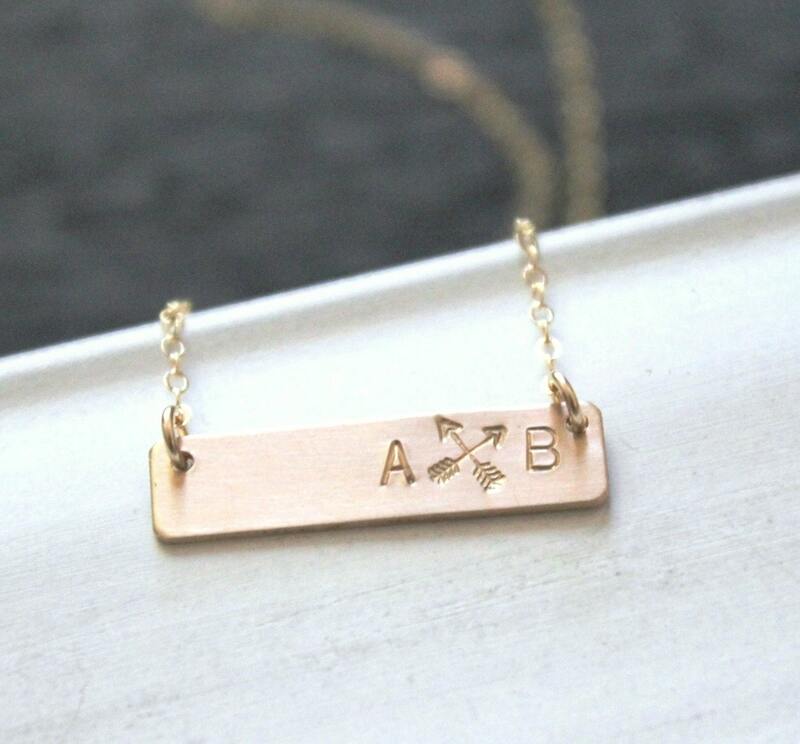 Our bar necklace is personalized with crossed arrows, the symbol of friendship. 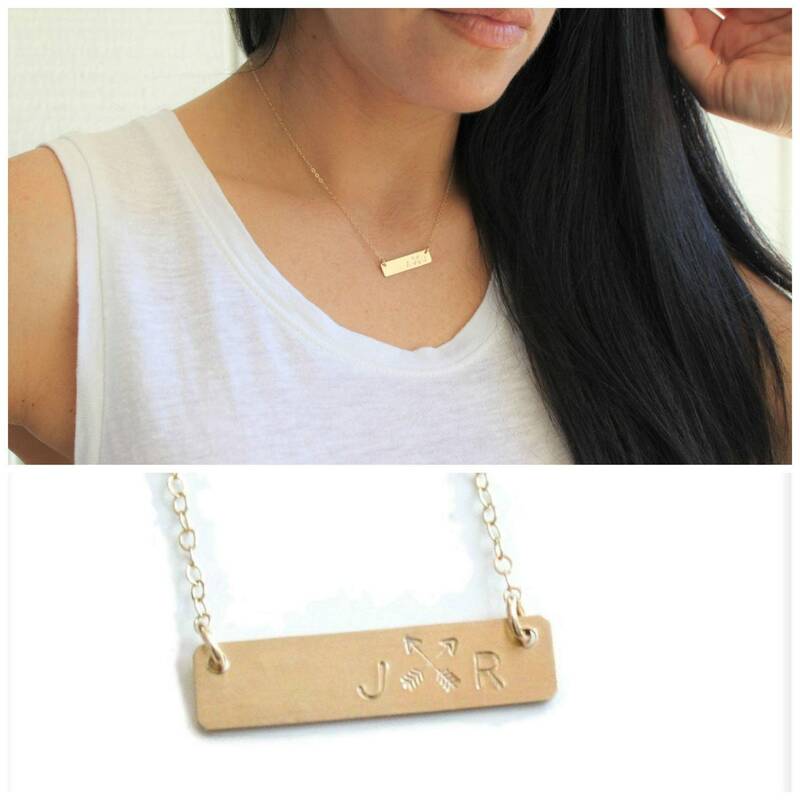 Personalized for you with initials this is a perfect gift for friends, bridesmaids, sisters or your daughter. 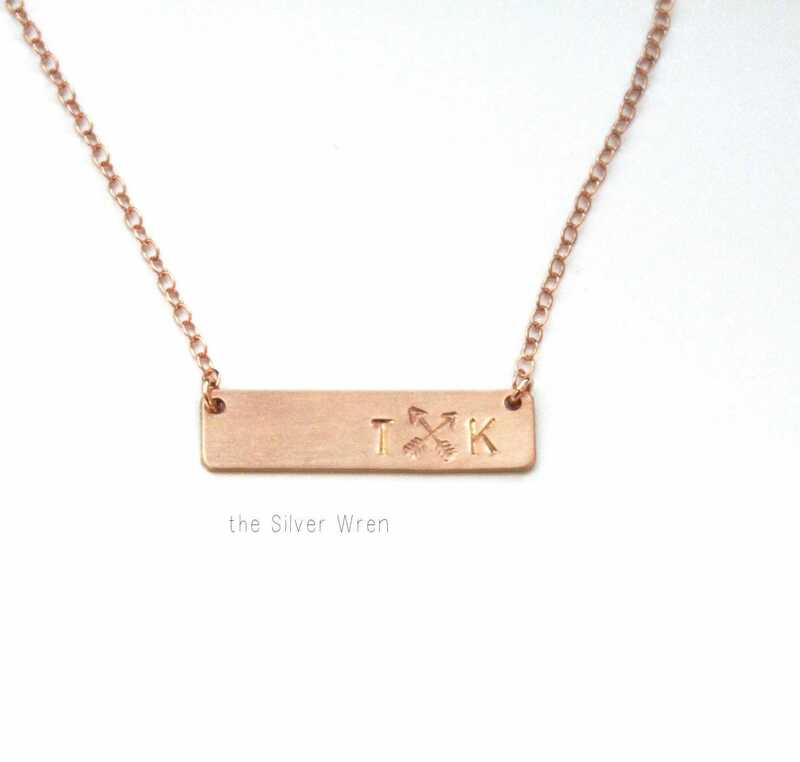 -Hand stamped with initials on each side of crossed arrow. 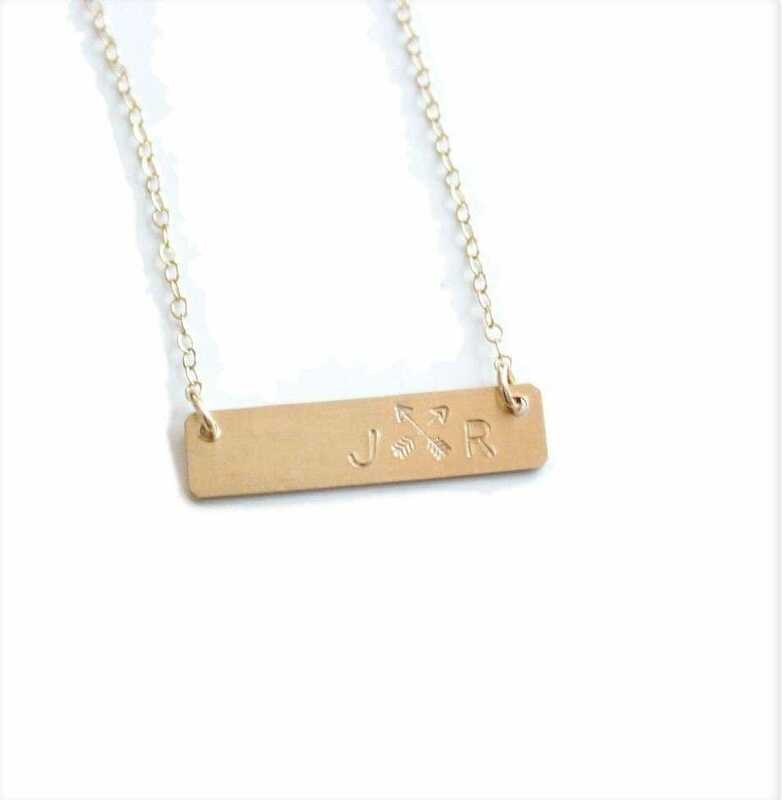 -Crossed arrows in between initials - this can also be a heart upon request. Crossed arrows are the symbol for friendship! 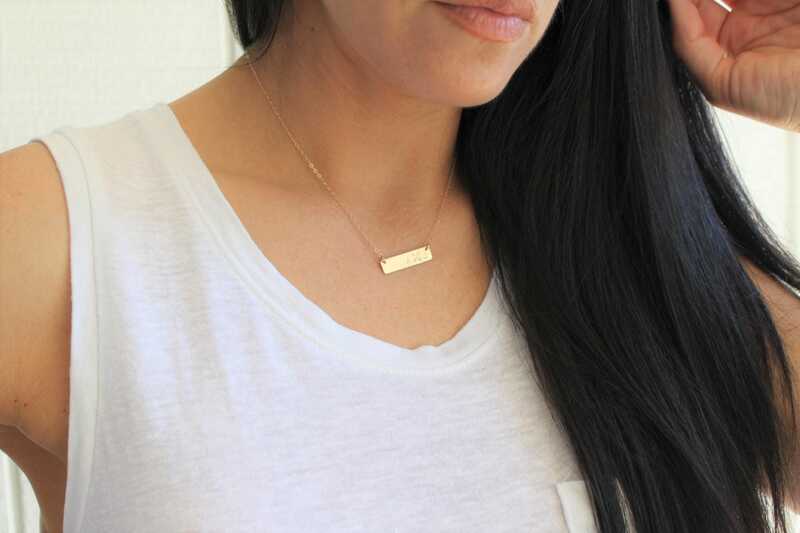 Perfect gift for my sister who is Matron of Honor at my wedding! She absolutely loved it! High quality, fast shipping, wonderful shop to work with! Would definitely order more products from this shop! Just absolutely beautiful work! I love it!!! came exactly as described and only after 1 day i've gotten SO many compliments! thank you! !